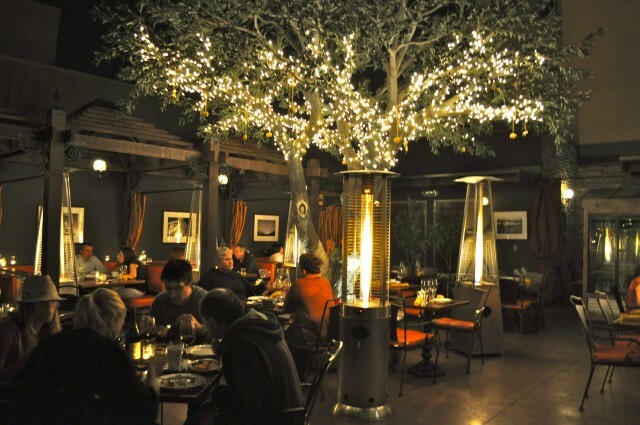 Little Italy is San Diego’s charismatic slice of Italy’s modern style and old-world sensibility. Most importantly, it’s a place that holds a special place in the hearts of most San Diegans. Just ask any local and they’ll sigh and say how much they love to love Little Italy. Little wonder. Hours spent in Little Italy are the closest you can get to the nonchalant la bella vita that Italians are masters in. Walk past a circle of old men conversing in rapid Italian, stroll past mom’n’pop shops while nibbling a cup of gelato, sip your espresso at an outdoor café, duck into an Italian wine bar lit up by candlelight, or simply eat your way silly through the seemingly endless options of Italian and fusion restaurants. In Little Italy, you can act as if there are no deadlines to meet, no schedule to abide by. 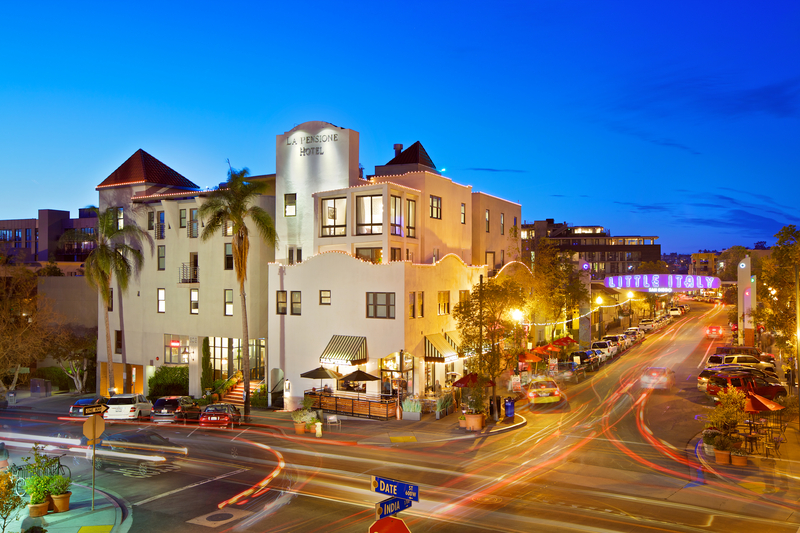 Little Italy is the cosmopolitan side of San Diego’s famed easy-going lifestyle. What makes this neighborhood even better? It’s literally steps from the glistening waters of San Diego Bay, for even more strolling and sweet living. What’s my dream day exploring Little Italy and San Diego Bay? Do as the Italians do and make a beeline from your bed to the neighborhood café to get your morning cappuccino. 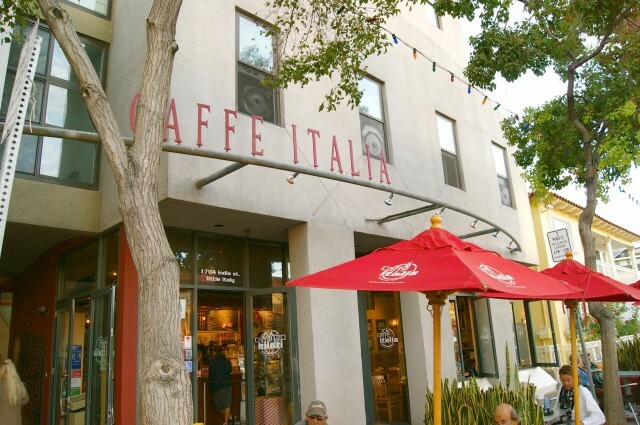 Locals start off their morning at Caffé Italia, directly underneath the blazing ‘Little Italy’ sign that arches over the neighborhood. Here you’ll find an espresso bar with a robust collection of coffee, cappuccino, espresso, as well as paninis, salads, and desserts. One side of their intimate café space is full of windows, which tempts you to lose hours just people-watching. Trust me, I’ve done it before. One tip: For now, they only accept cash, so be prepared. Next, get into the water. While the closest beach to downtown San Diego and Little Italy is about a 15 minute drive away, no one here seems to care because the stunning San Diego Bay is just three blocks down. Besides, there are bigger adventures to be had in the bay. One of the coolest of them are the sails or sailboat races with Next Level Sailing, San Diego’s only outfitter boasting two racing yachts used in the America’s Cup races. In other words, they do more than sails and tours. They do thrills. 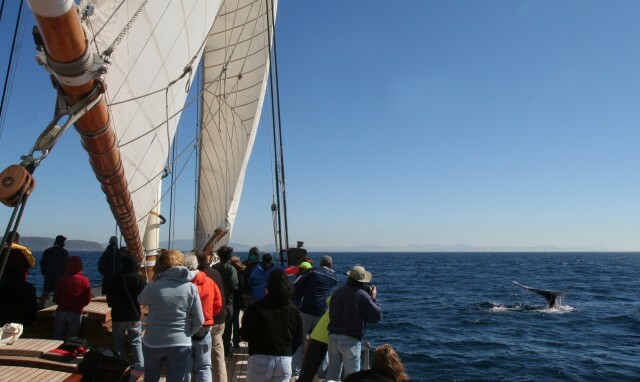 Right now, they’re running whale watching adventures aboard the AMERICA, a gorgeous 139-foot replica of the 1851 champion sailing vessel that inspired the America’s Cup. Just sailing with them will be enough to write home about. The biggest draw of Little Italy is also its tastiest. This quaint neighborhood is packed corner to corner with restaurants serving up everything from pasta, pizza, gourmet cheese, paninis, gelato, steak, seafood…and even more pasta and pizza. Not up for Italian? A marvelous mix of global cuisines have made its way here, too. You’ll find trendy Japanese ramen, out-of-this-world Oaxacan entrées, and modern, home-cooked New Zealand food in between wine bars and brew pubs. Choosing a restaurant is probably the biggest decision you’ll have to make when you’re in Little Italy, so here’s one recommendation. One of my personal favorites is Davanti Enoteca, where you’ll dish on rustic cuisine you’d expect to have in the Italian countryside. The interiors are just as delicious as their food. With exposed rustic brick walls, re-purposed wood, and an expansive tree-shaded patio, you’ll feel like you’re eating out of a rural cottage in Italy – albeit a lively one. If, and when, you contently fall into a food coma, sink into the sumptuous beds at Little Italy’s La Pensione Hotel. This boutique hotel is this area’s hard-to-miss icon, right in the middle of the neighborhood. Perfect for urban explorers who love being in the center of it all (which I do), this hotel is brimming with rich character and a chic, modern design. La Pensione is a triple threat – with a lovely look, impeccable location, and near-perfect pricetag, with rates that are consistently some of the best in town. The hotel has been likened to the treasure trove of affordable European hotels dotting cosmopolitan cities like Milan, Rome and Paris. After spending a blissful night here, you’ll wake up surrounded by the bustling streets of Little Italy, with the smell of espresso and no deadline to rush up for, feeling more Italian than ever. What’s your favorite part/thing/place in Little Italy? Junvi Ola is a well-traveled globetrekker. Her luggage wheels have tracked their way from the cobblestone streets of Ljubljana, Slovenia to the pristine mountains of Whistler, B.C and is lucky enough to make San Diego her home base. You can follower her on Twitter at @DiegoOnADime. This entry was posted in Culinary, Hotels & Places to Stay, Tours & Sightseeing and tagged downtown, little italy by Guest Blogger. Bookmark the permalink.